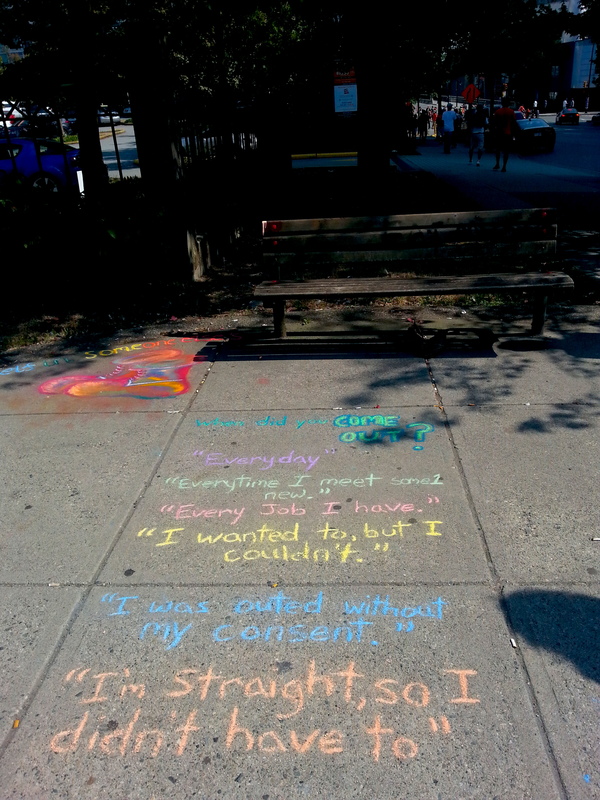 Getting Everyone Chalking and Talking! 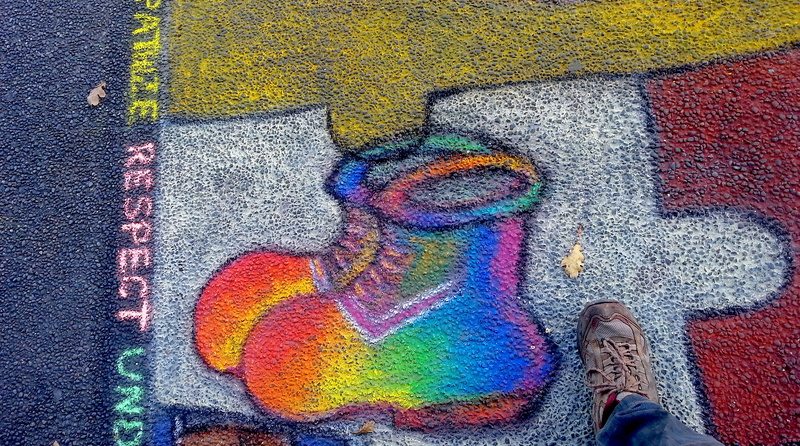 Rainbow shoes from our ‘Put Yourself in Someone Else’s…” piece, chalked at the Victoria International Chalk Art Festival 2014! 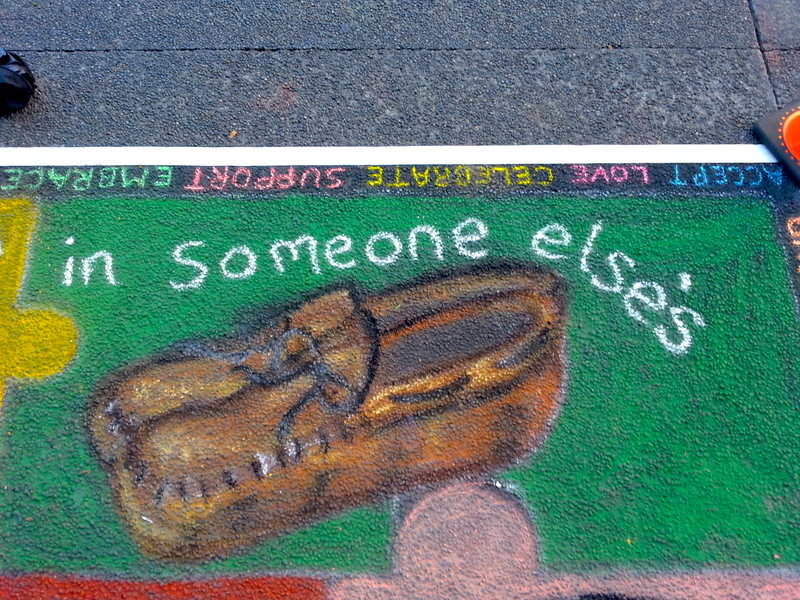 Leg braces from our ‘Put Yourself in Someone Else’s…” piece, chalked at the Victoria International Chalk Art Festival 2014! 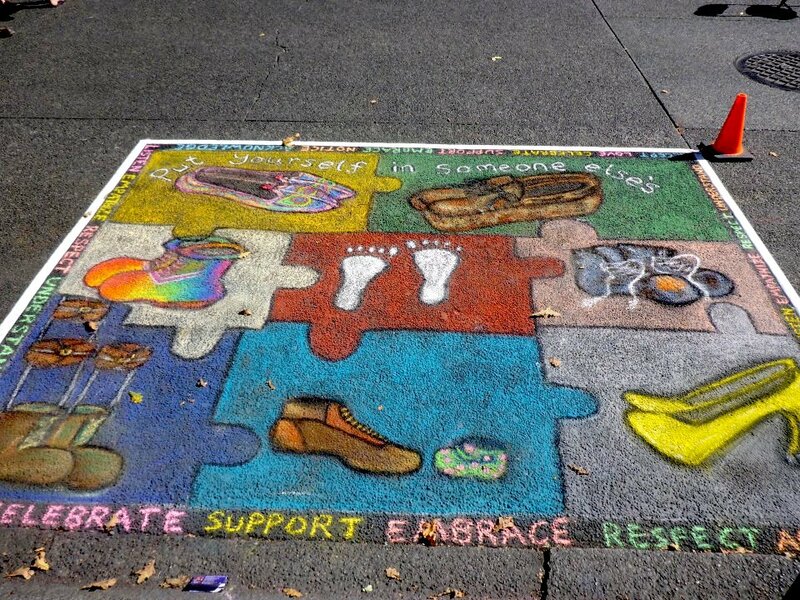 Parent’s and Child’s shoes from our ‘Put Yourself in Someone Else’s…” piece, chalked at the Victoria International Chalk Art Festival 2014! 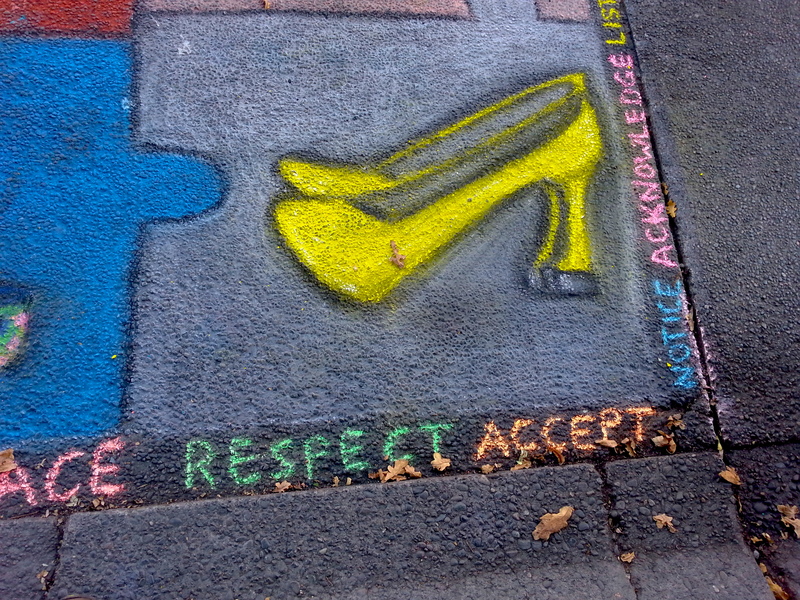 High Heels from our ‘Put Yourself in Someone Else’s…” piece, chalked at the Victoria International Chalk Art Festival 2014! 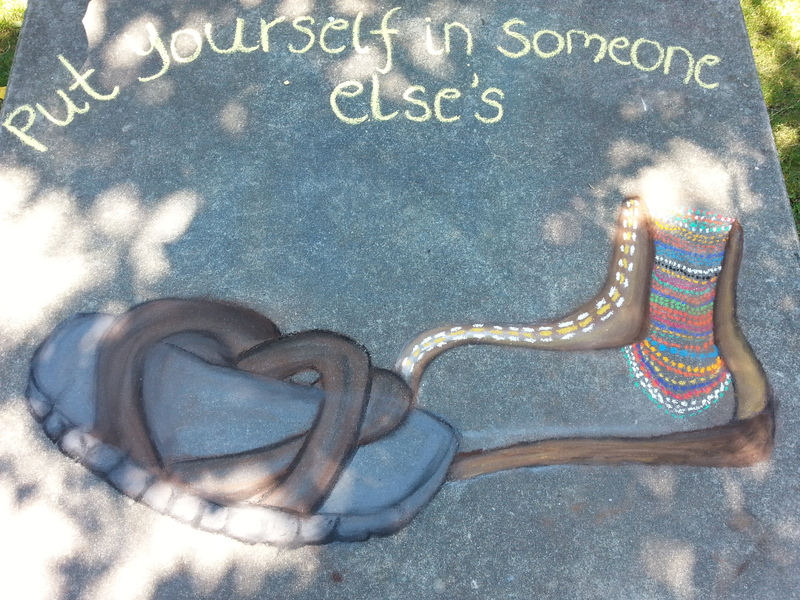 Moccasins from our ‘Put Yourself in Someone Else’s…” piece, chalked at the Victoria International Chalk Art Festival 2014! 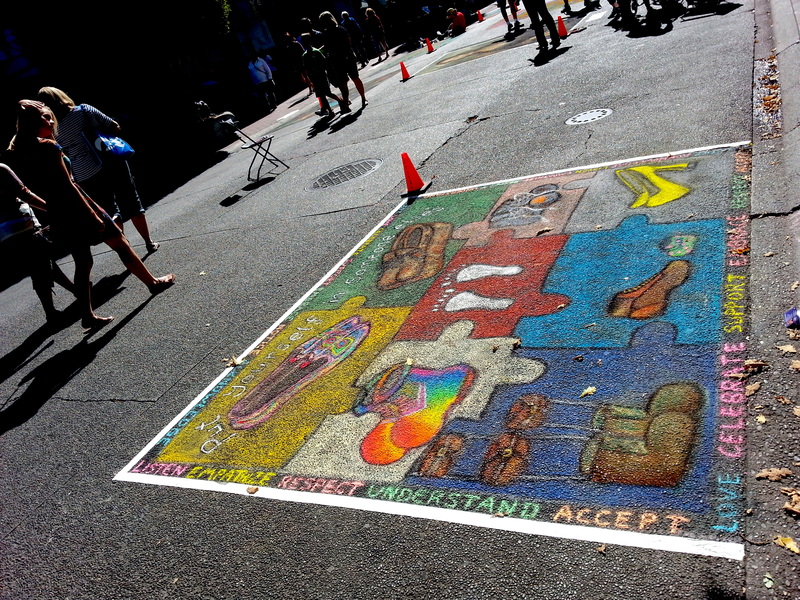 On September 13th and 14th this year, CWM joined a bunch of incredible chalk artists for a weekend of power chalking on Government Street in Victoria! This was the final piece in our summer Shoe Project. 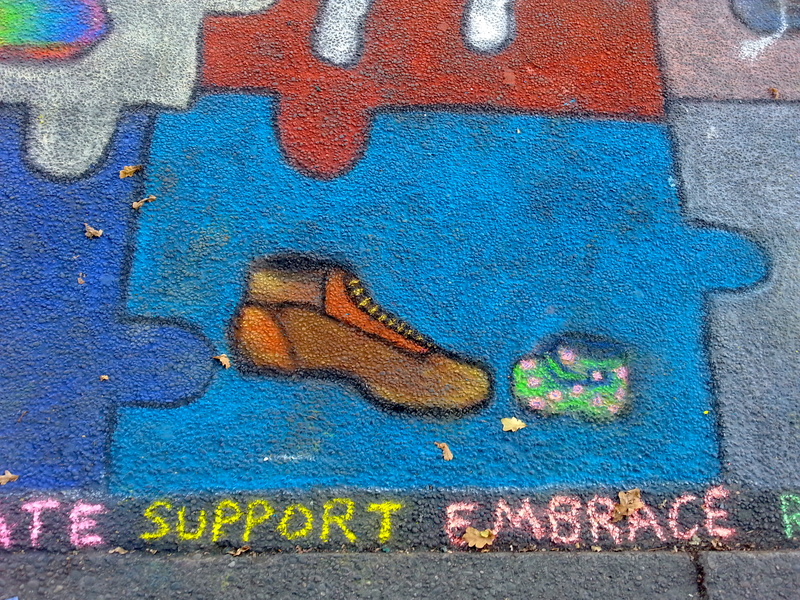 If you haven’t already seen the work we did around Vancouver, check our the other shoes we chalked! 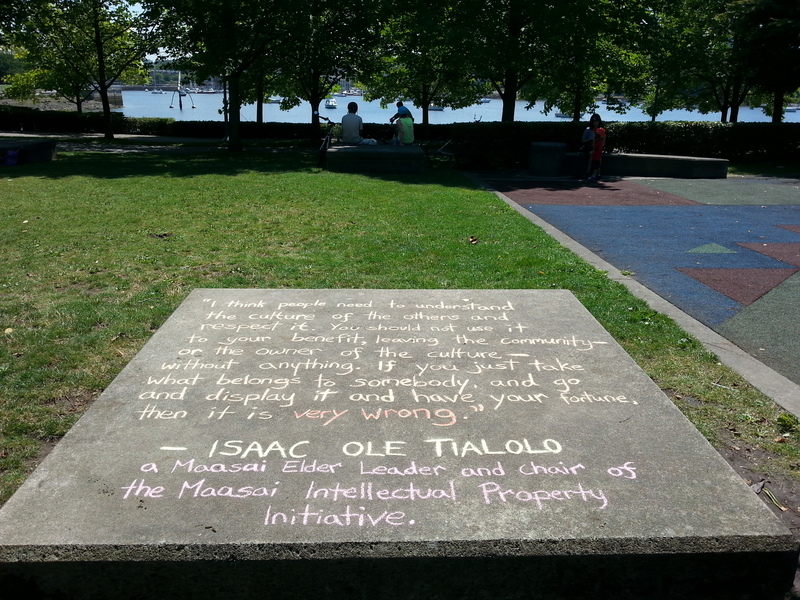 – Isaac ole Tialolo, a Maasai elder leader and chair of the Maasai Intellectual Property Initiative. In conversation with the BBC, he expressed his discontent with organizations that currently sell his culture as a brand. It is estimated that over 10,000 companies all over the world may be using the Maasai name in their products. The top 6 of these each have gained over $100,000 in sales over the last ten years, using the Maasai name or aspects of their culture. 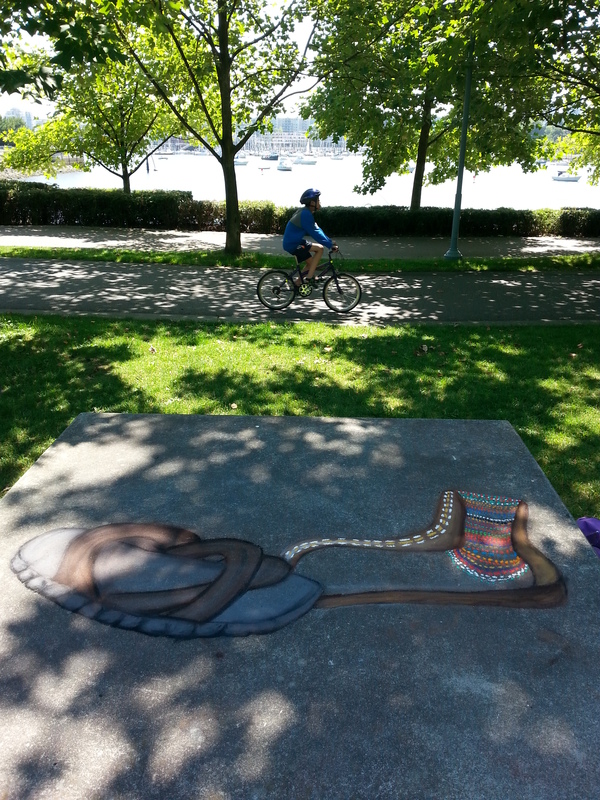 Enter your email address to follow this blog and receive notifications of new CWM posts by email. 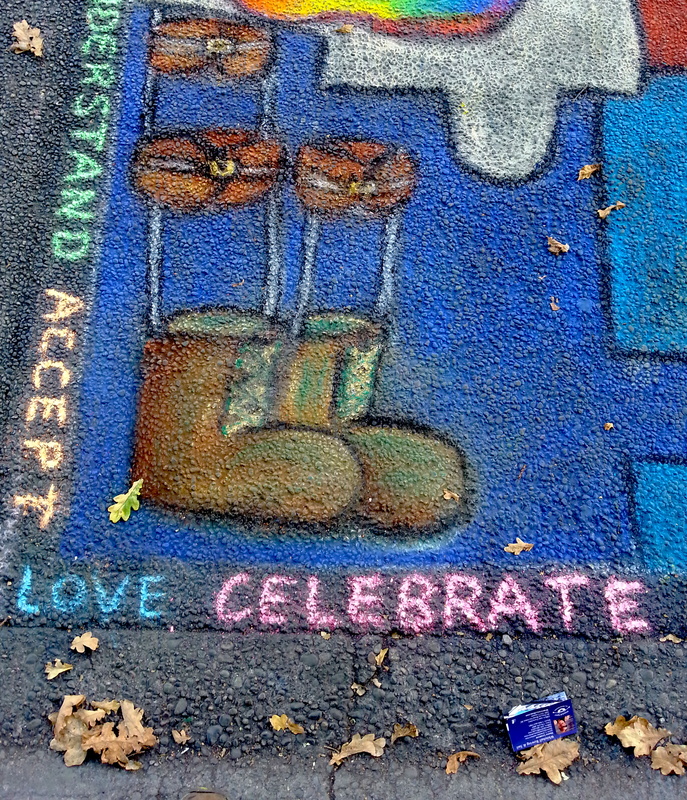 Chalking with H: Still chalking!